Atlantico 196 Ref : 5013. 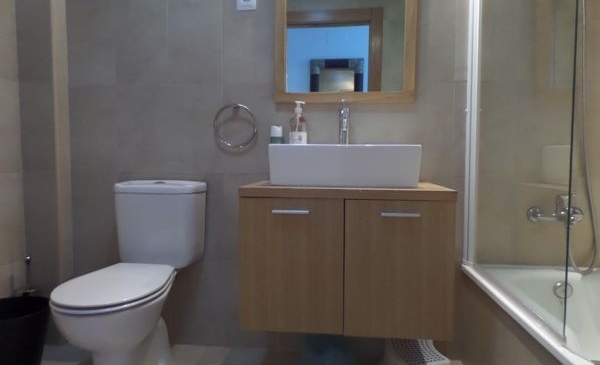 Luxury second floor apartment 2 bedroom and 1 bathroom. 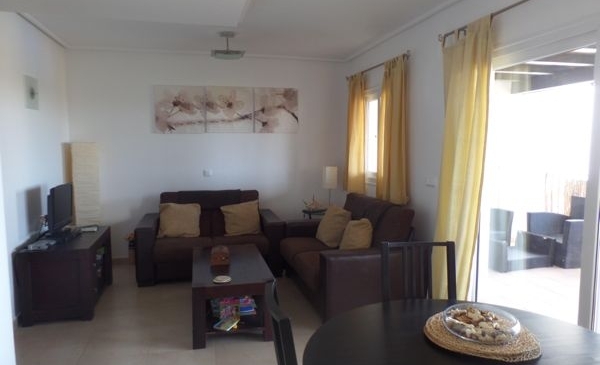 The apartment has excellent views overlooking the communal swimming pool and golf course. 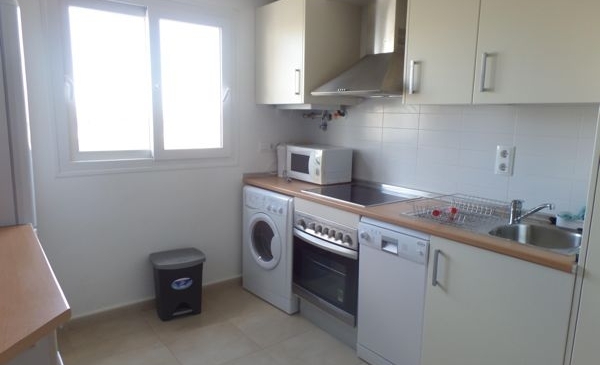 Just 2 minutes walk from The restaurant, bar and supermarket. 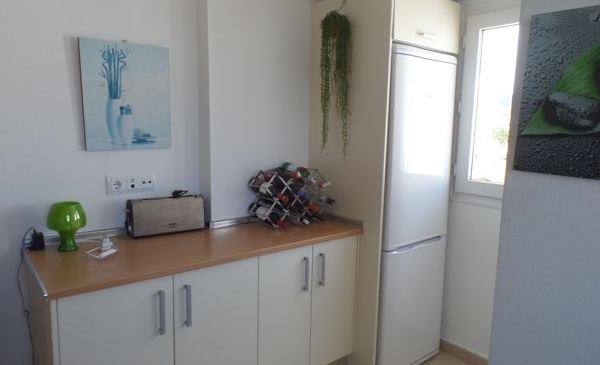 The apartment has air conditioning, wifi, TV with multi channel selections including all UK terrestrial channels. .
Hacienda Riquelme is situated a very short distance from San Javier airport. 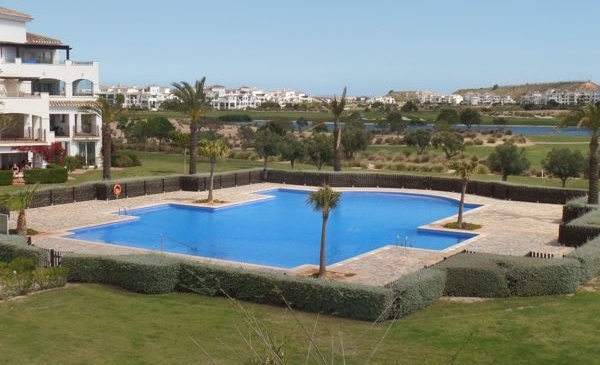 The resort boast 19 swimming pools, outdoor gym, numerous children’s play areas and a magnificent Nicklaus designed golf course. . There are many bars and restaurants close by with regular free bus services at week ends from Hacienda in to Sucina village during the summer months There area has many blue flag beaches all with in short drive from the resort.